New Yorkers are in a sugar-induced frenzy over the latest pastry phenomenon and Melbourne had better watch out. Introducing, the cronut: part croissant, part doughnut. 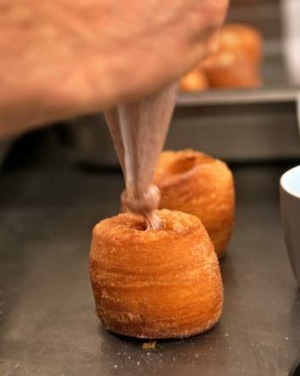 Imagine a flaky, buttery croissant, crossed with the ultimate glazed cinnamon cream-filled doughnut. Dominique Ansel is the mastermind behind this sweet sensation, and spent two months developing the pastry. 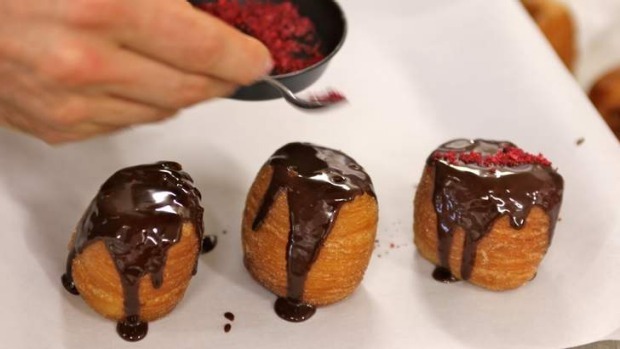 After Grub Street in New York broke the news - “Introducing the Cronut, a Doughnut-Croissant Hybrid That May Very Well Change Your Life” – sweet tooths made a beeline to Ansel's bakery in Soho. The first batch of 50 sold out in 20 minutes and the bakery is now producing 200 cronuts a day, selling out within an hour. Cronut-fever has gone viral. 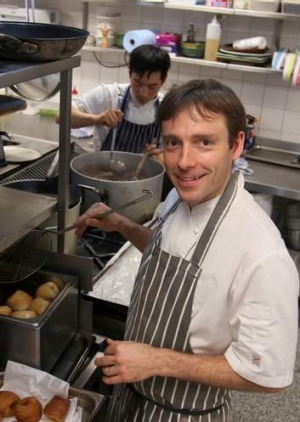 All the “cro-mmotion” caught the eye of Michael James, head baker at South Yarra's MoVida Bakery, already renowned for its flavoured doughnuts. James couldn't resist the idea of a doughnut-croissant hybrid but his attempt to adopt the “cronut” name has come to a sticky end. D'oh! No more “cronut”. At the weekend, Ansel trademarked the name in America and is considering an international trademark. MoVida answered with a Twitter competition for a new name and the entries flooded in: “the croisnut”, “the crodough”, “dohgnets” (a play on beignets), the “MoDo” and the “DoVida”. What's “FOMO”? Fear of Missing Out. James is still tinkering with the filling, likely to be vanilla custard with sour cherries, glazed in chocolate and topped with freeze-dried raspberries. 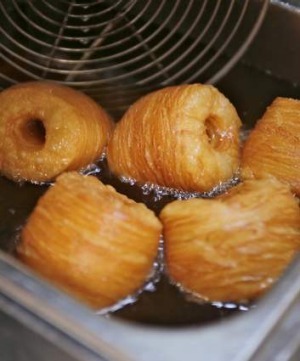 Over in NYC, Ansel plans to launch a new flavour cronut every month. The original cronut debuted with Tahitian vanilla cream filling, rose glaze and rose sugar. A lemon maple cronut is scheduled for June, followed by salted dulce de leche, and possibly an adults-only alcohol-laced cronut. Kellie Bilinski, a dietitian and spokesperson for the Dietitians Association of Australia, confirmed the obvious. “It's not a very healthy choice for a snack. Both doughnuts and croissants are high fat, low nutrient foods, so the combination of the two is a double whammy,” she says. It's what Cookie Monster might call a “sometime food”. There's approximately 15 grams of butter in each of these flaky creations, plus sugar, cinnamon and cream. One tweeter suggested it should come with a gym membership, and another recommended ambulance cover. Sometimes, ignorance is bliss. And, sometimes, bliss is a cronut, er, dossant.